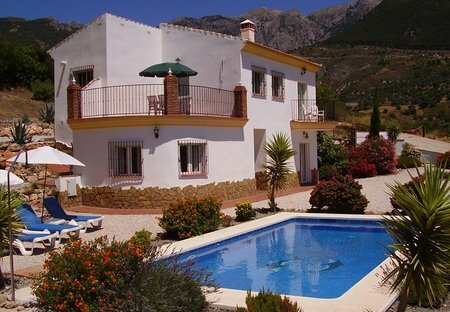 Rent villas and apartments in Alcaucín, Spain with private pools. Tranquil, delightful, 3 bedroom Villa with private pool and grounds, stunning mountain and lake views. Close to local villages, beaches and golf. Perfect for that relaxing, chill out time in the sun ! Your home from home in the sun! La Roca is the perfect beach resort for romantic breaks for two, family holidays and friends retreats. 20 minutes from shopping mall and water park.